Drumroll, please! (Or would that be "dhol-roll?) 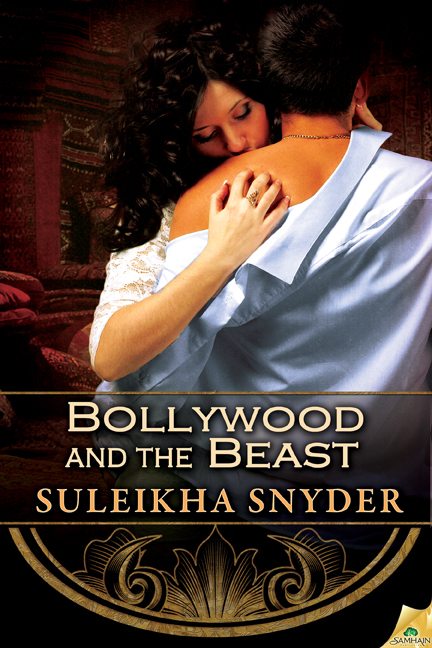 It is with great pleasure that I share the cover for my third Bollywood Confidential tale from Samhain Publishing, set to release on February 11, 2014! Bollywood and the Beast is the story of American-born ingenue Rakhee "Rocky" Varma, who just wants to make a name for herself in Bollywood films, and former action star Taj Ali Khan, whose name is only whispered in passing — as if he's as dead as his career. 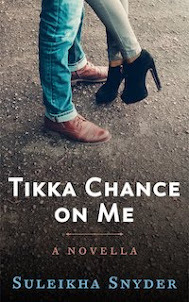 When Taj's troubled brother, Ashraf (last glimpsed in Spice and Secrets) brings costar Rocky home during a location shoot, it's far from a fairy-tale beginning. Taj is emotionally and physically scarred, Rocky doesn't put up with jerks, and Ashraf...he has his own problems that worry, and bond, the people he cares for. Can passion conquer pain? Does love really heal all wounds? Do I actually have on-page Indian family shenanigans in this book? Find out early next year! Pre-order from Amazon and Barnes & Noble now! In the mean time, pick up Spice and Smoke and Spice and Secrets from your favorite e-tailer to take a tour of my Bolly world.